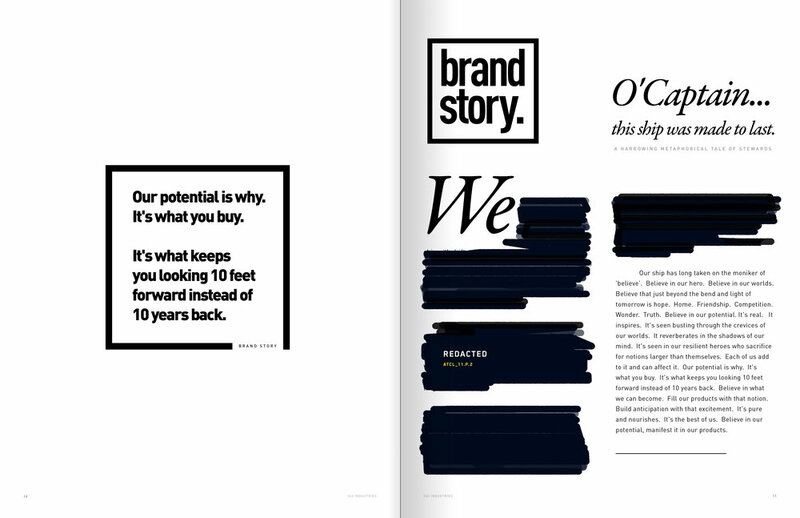 There is no gossip here, only facts and redacted examples of how design can lead the eye to read one more page--or gloss over the spread entirely. A truly unique project. This is a magazine. 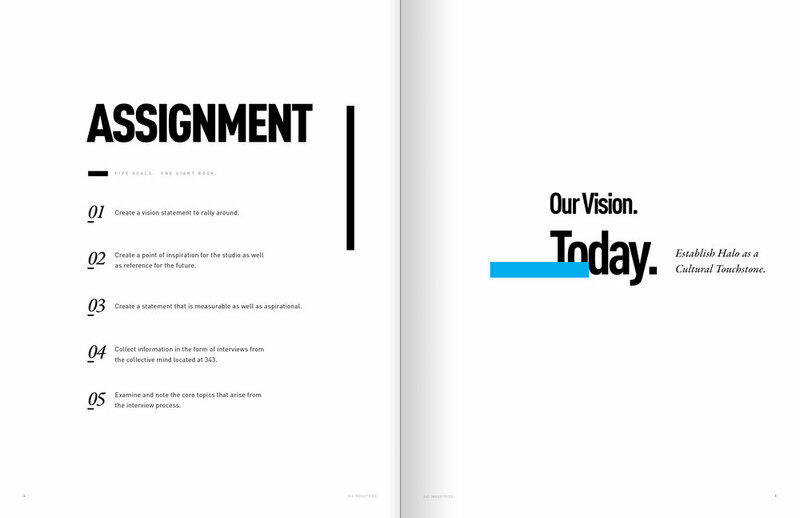 This is a brand audit with suggestions, statements of purpose, and lots of interviews. Since my background is in documentaries I'm comfortable interviewing the team-- I'm versed in taking a lot of scattered parts and assembling those words into a new whole. 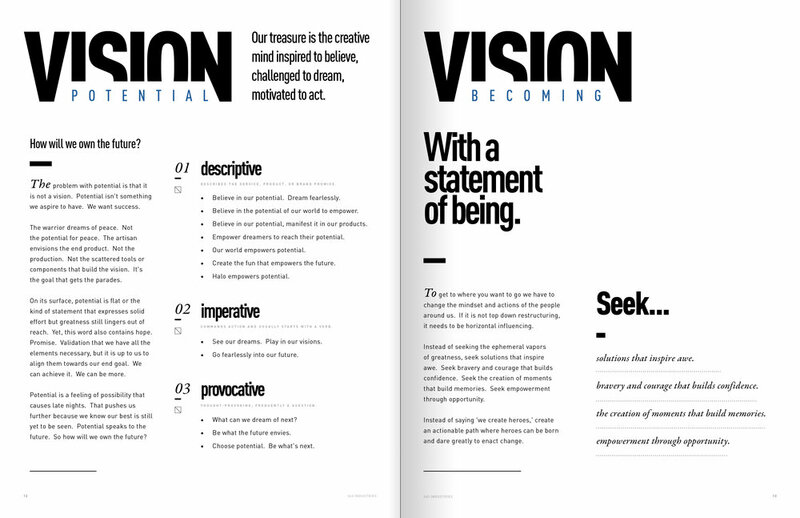 In June of 2016 I was given the opportunity to sculpt a new vision statement. Think of that as left brain work: Analyzing and discovering the truth between each story. 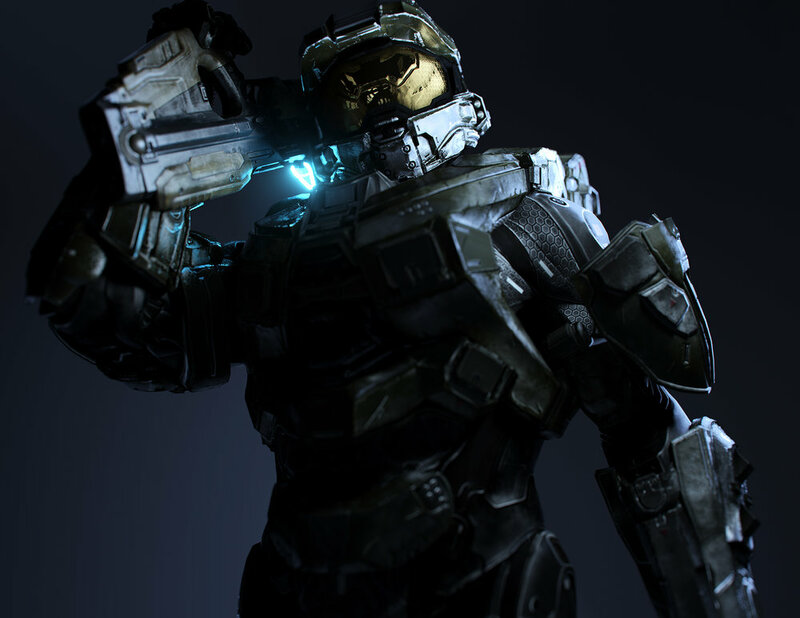 Halo means a lot of things to a lot of different people. The question became: where do sentiments align? What can we rally around? What is undeniable for all aspects of the team? Meanwhile, my right brain thinks about design and clarity. I knew that it would be a long shot to get people to read 50 interviews but I also knew that they didn't need to. The interviews existed as a backdrop to my findings. An appendix of proof that upon examination backed my thesis. Proof that clarified our statement for being. Ammunition to present a path worth traveling in order to thrive in the future. 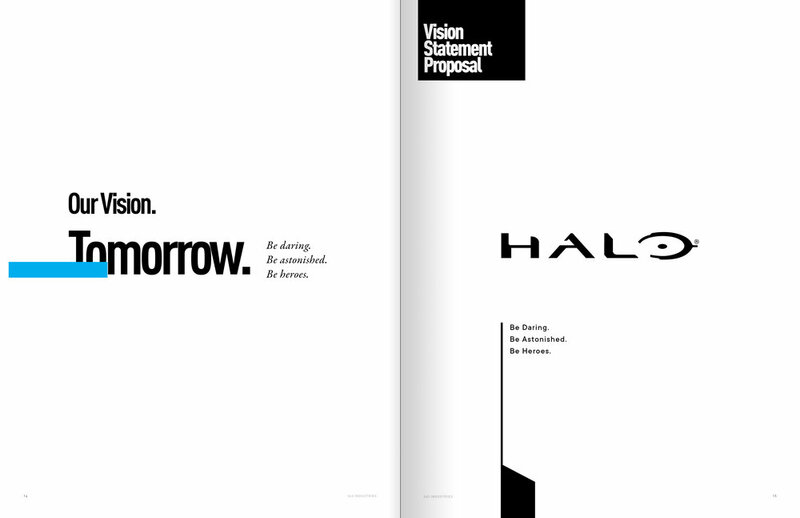 343's old vision statement was about becoming a cultural touchstone. It no longer applied for many reasons. It's modality was outdated. 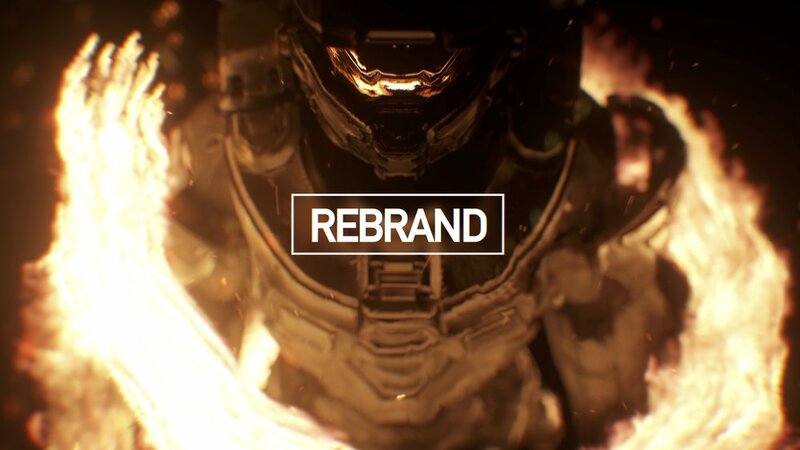 I needed to talk to our team at 343. I needed to understand what resonated with them and what they needed from this new alignment. This was one of the longest brand examination (audit) sessions I've ever experienced and it helped to clarify some conventional wisdom and dispel notions no longer applicable. "When daring and opportunity meet, a hero is born." "Our treasure is the creative mind inspired to believe, challenged to dream, and motivated to act." 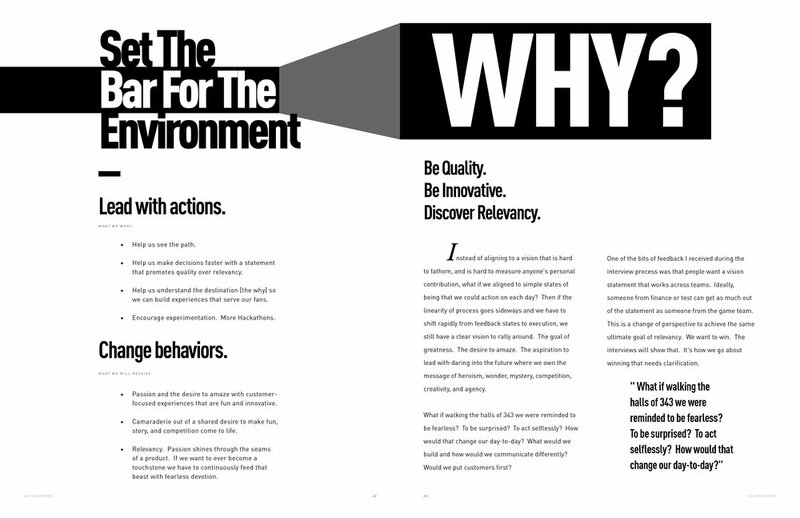 As consumers, we talk and align ourselves with brands and services that have a strong why. Where the reasoning for us to be proponents of that brand is undeniable. That kind of, 'Just try it and it will change your life' scenario. 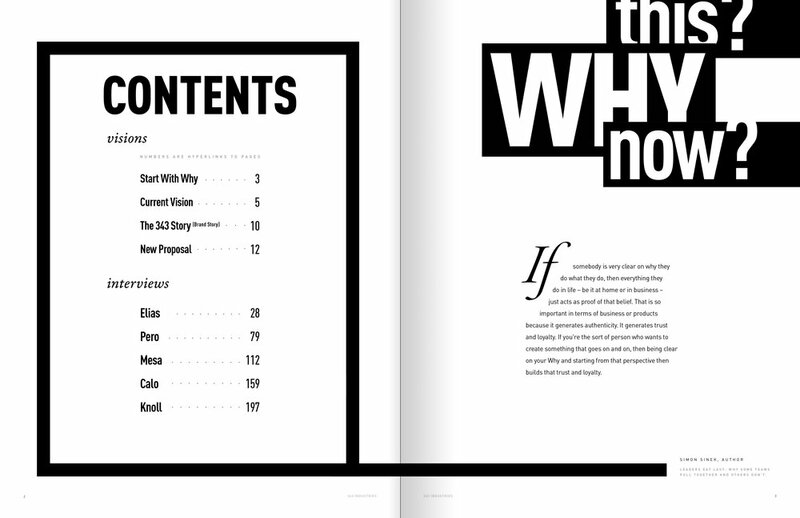 That's the only reason the 'why' matters. A strong 'why,' a strong statement of what-we-believe and then put into every inch of our experiences, is what people carry with them in the absence of our messaging. In the absence of us marketing or pleading with them for mind-share. 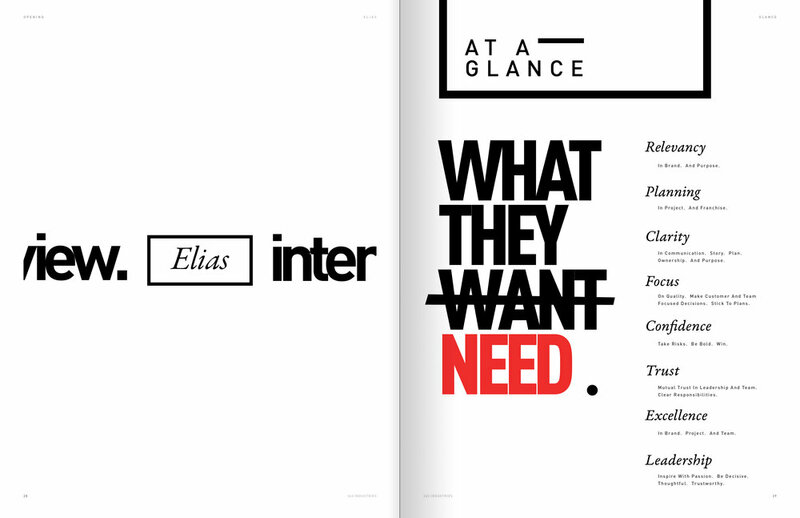 It's marketing without direct influence. It's where we empower our customers to reach conclusions on their own. A strong statement of excellence in product or service speaks more than we could ever say or command. This same concept of crafted inception doesn't just apply to our customers, it applies to our team. With the right set of intentions, or statements of being, we can inspire and influence the whispers that produce change. Our ship has long taken on the moniker of 'believe'. Believe in our hero. Believe in our worlds. Believe that just beyond the bend and light of tomorrow is hope. Home. Friendship. Competition. Wonder. Truth. Believe in our potential. It's real. It inspires. It's seen busting through the crevices of our worlds. It reverberates in the shadows of our mind. 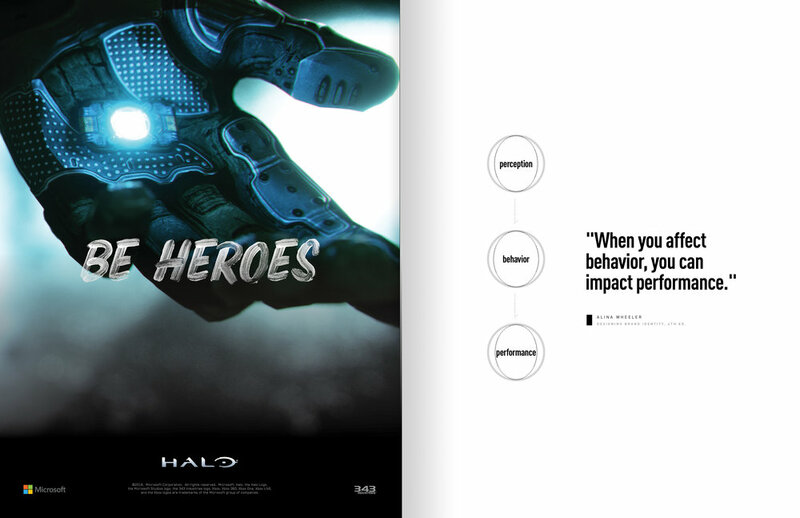 It's seen in our resilient heroes who sacrifice for notions larger than themselves. Each of us add to it and can affect it. Our potential is why. It's what you buy. It's what keeps you looking 10 feet forward instead of 10 years back. Believe in what we can become. 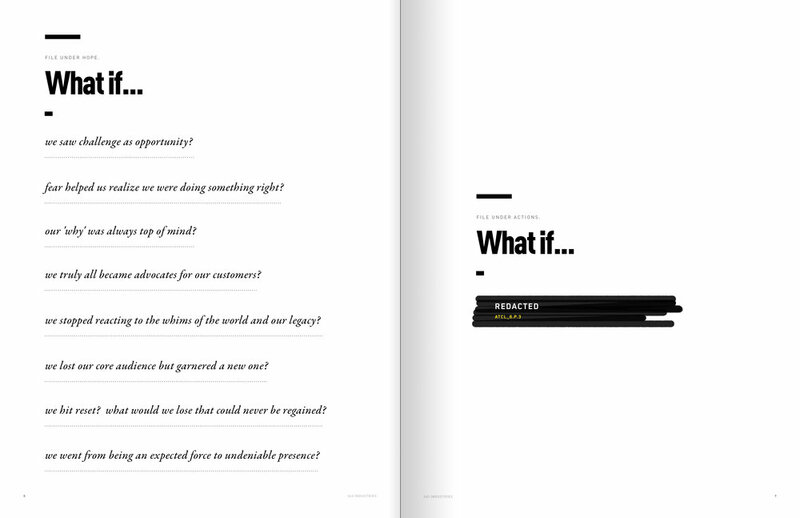 Fill our products with that notion. Build anticipation with that excitement. It's pure and nourishes. It's the best of us. Believe in our potential, manifest it in our products.